​ ​LAREDO – A key section of a cross-border pipeline that will connect natural gas from the Eagle Ford Shale to power plants, maquiladoras and other customers in Mexico was completed. 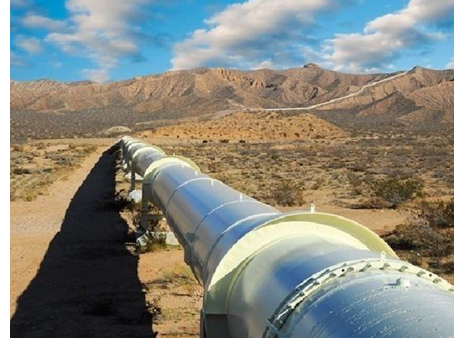 The critical section of the 36-inch wide Impulsora Pipeline, which goes under the Rio Grande, was recently connected to the Mexican side of the system, Howard Energy Mexico President Brandon Seale said. The 190-mile pipeline is a joint venture between Howard Energy and Monterrey-based Grupo Clisa, and begins just outside Laredo and ends in Monterrey. The project is 75 percent complete. The pipeline is expected to be operational by the end of the year, according to the latest estimates filed with the Federal Energy Regulatory Commission.